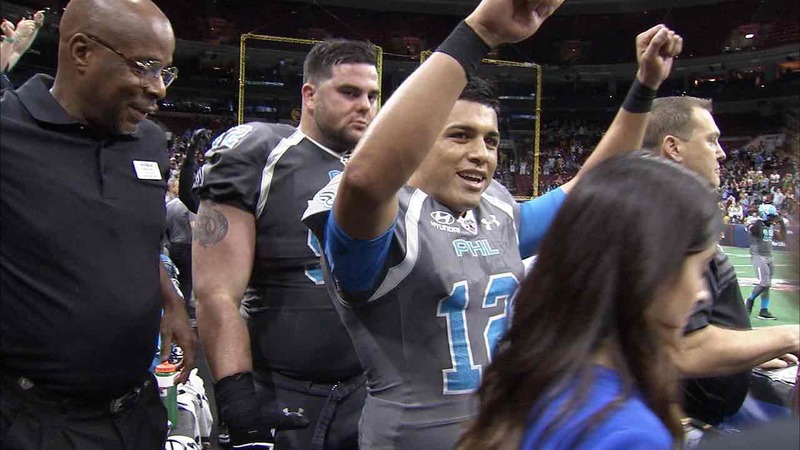 The Philadelphia Soul beat the Baltimore Brigade 69-54 Saturday afternoon to advance to the ArenaBowl where they will defend their AFL title. Quarterback Dan Raudabaugh threw for 324 yards and nine touchdowns and Darrius Reynolds scored six, a playoff record. The Soul host this year's championship game at the Wells Fargo Center against the winner of Monday night's game between the Tampa Bay Storm (10-4) and the Cleveland Gladiators (5-9). Home field has been good for the Soul, they have won 17 straight in Philadelphia. The game is Saturday, August 26 and will be broadcast live on 6abc at 7:00 p.m.